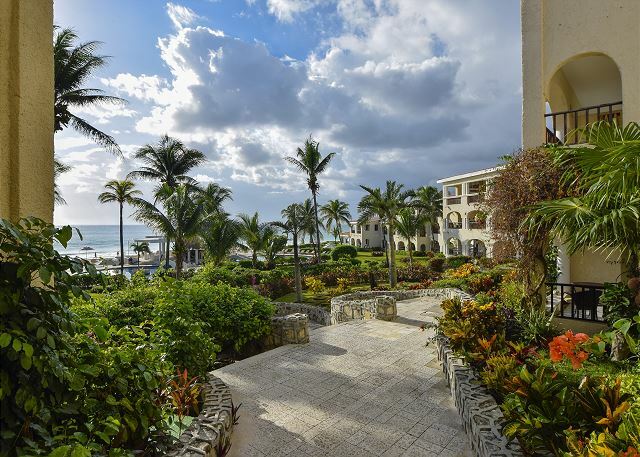 The pathway winding around to the pool and beach is framed by an archway; capturing a picturesque view of the sea. 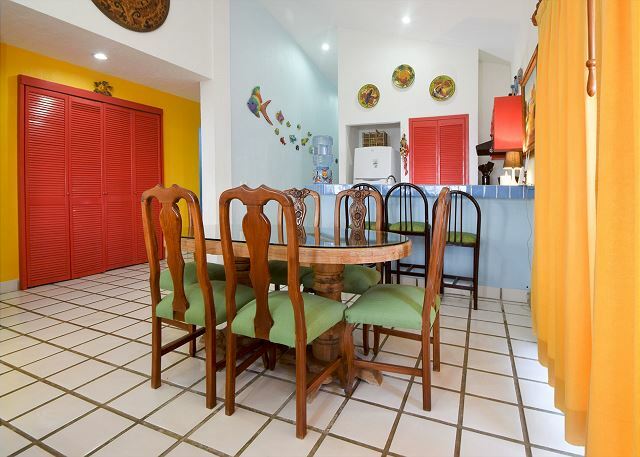 The décor is cheery and bright; reflecting Mexican themes. 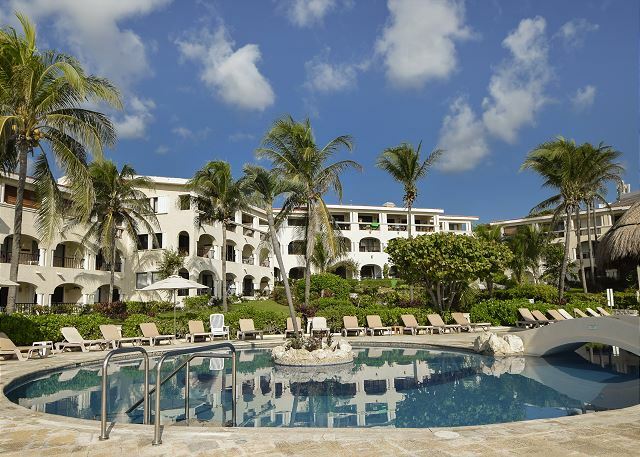 Vaulted ceilings throughout lend to an airy, spacious feel. 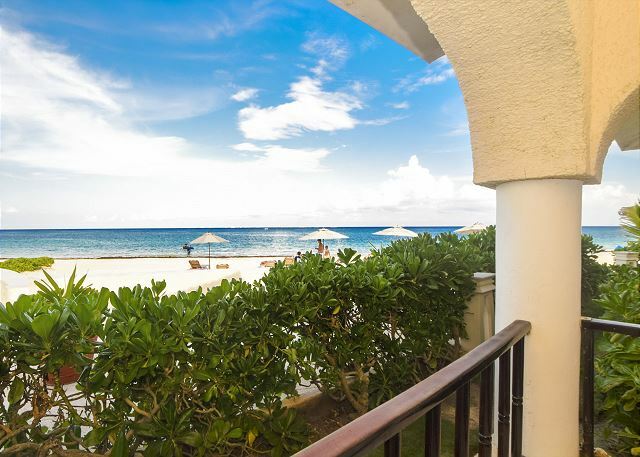 With two private terraces, guests can take in views of the captivating Caribbean Sea from every angle! 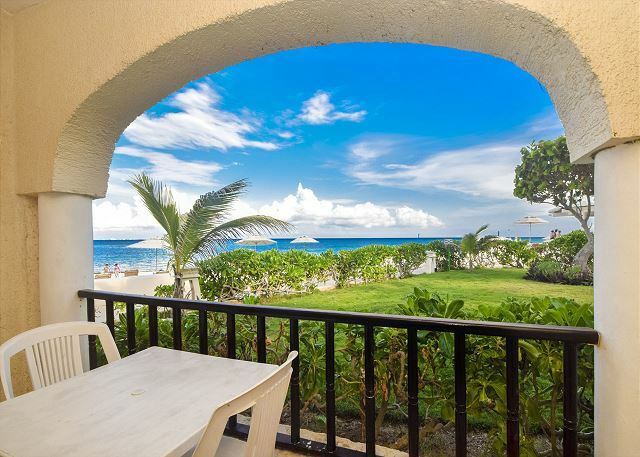 Enjoy morning coffee and spectacular sunrises from the dining room terrace or refreshing evening breezes on the large front-facing terrace connected to the living area and master suite. 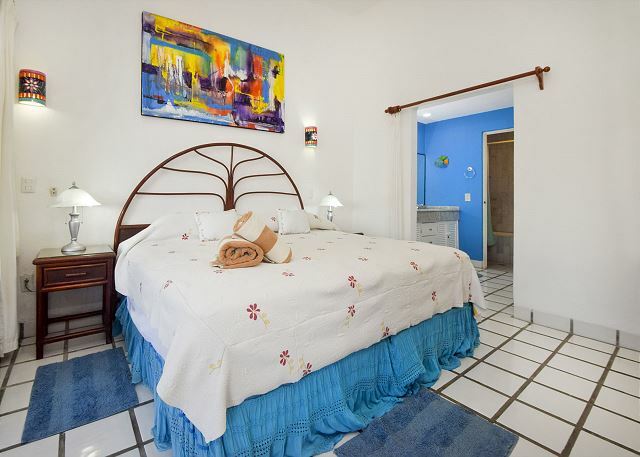 All three bedrooms feature comfortable pillow-top mattresses and beautiful bedding. 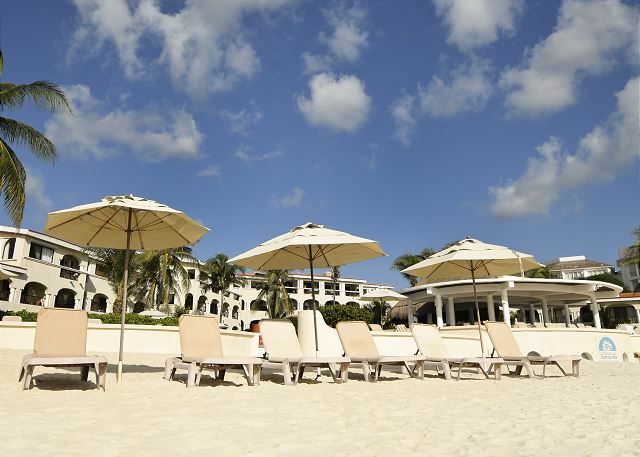 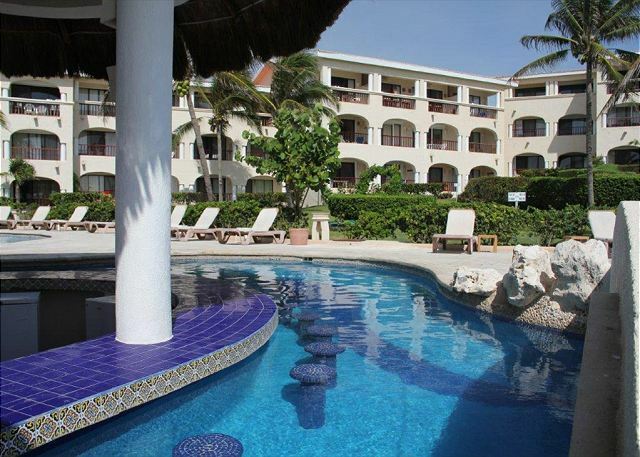 The serene location in the exclusive community of Playacar ensures a good night’s sleep with no disturbances. 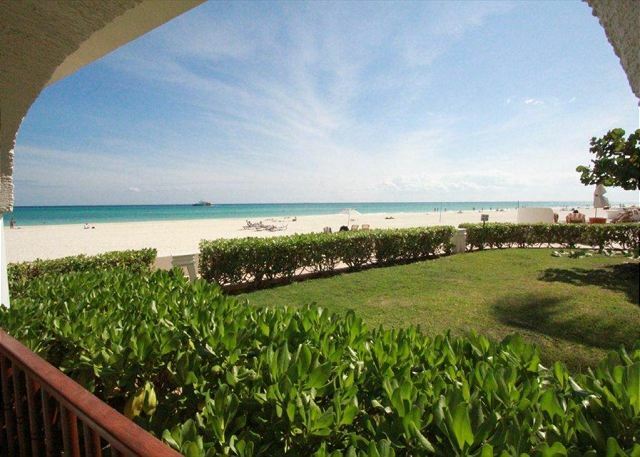 Master suite and second bedroom boast ocean views! 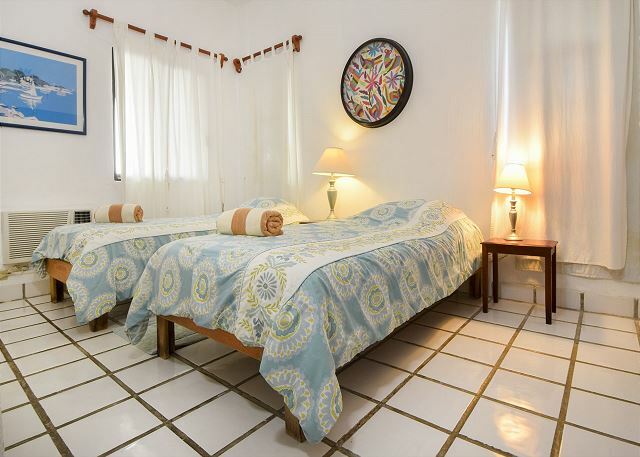 Master suite is well-furnished and includes a flatscreen TV, DVD player and bathroom with double sinks and bathtub for relaxing soaks. 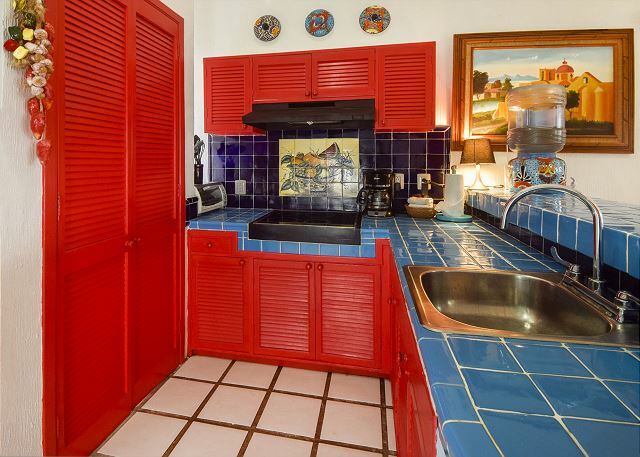 The sunny kitchen has a stovetop, toaster oven, raised bar with 3 barstools and tiled countertops and backsplash. 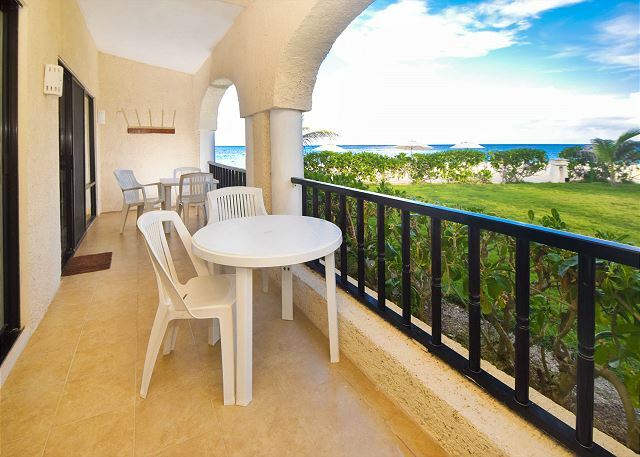 Open dining area takes full advantage of wraparound ocean views and accommodates 6 at the regal, hand-carved dining table. 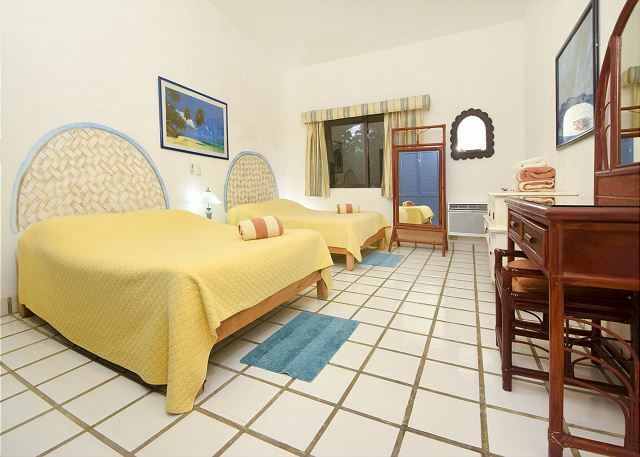 Living area is pleasantly furnished with armchairs and sofas, lamps for soft lighting, flatscreen TV and DVD player. 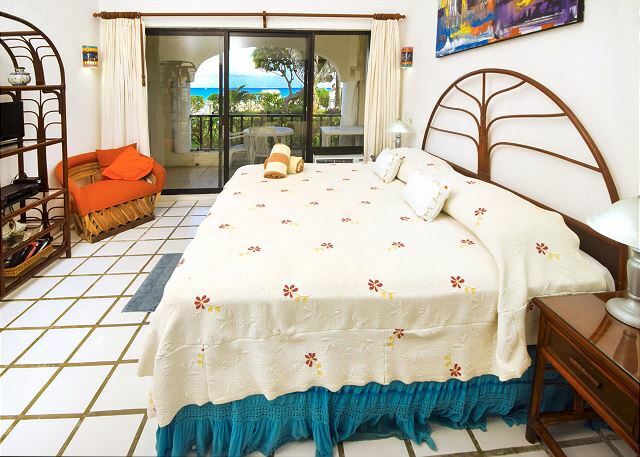 Slide open the patio doors and let the lapping waves and refreshing sea breeze relax you! 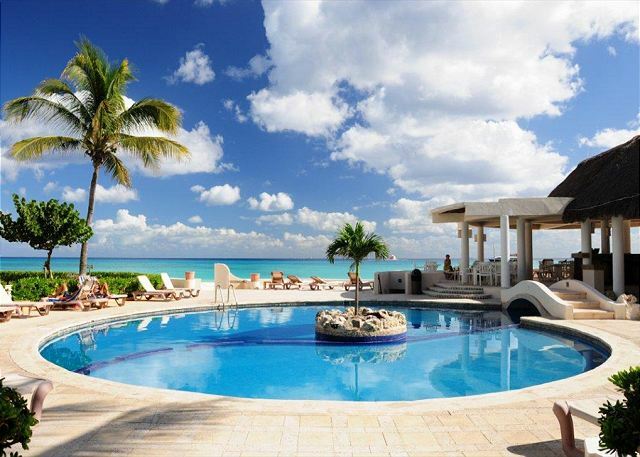 This outstanding vacation condo is the ideal choice for a vacationing family. 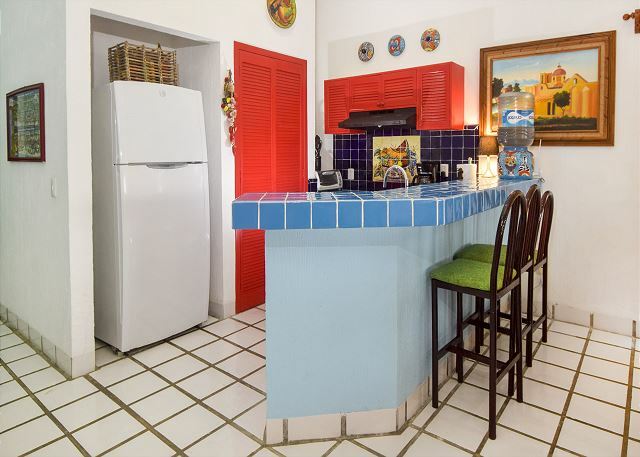 Quiet location but within close proximity to the ferry to Cozumel, dining & shopping on 5th Avenue, golf and other excursions!